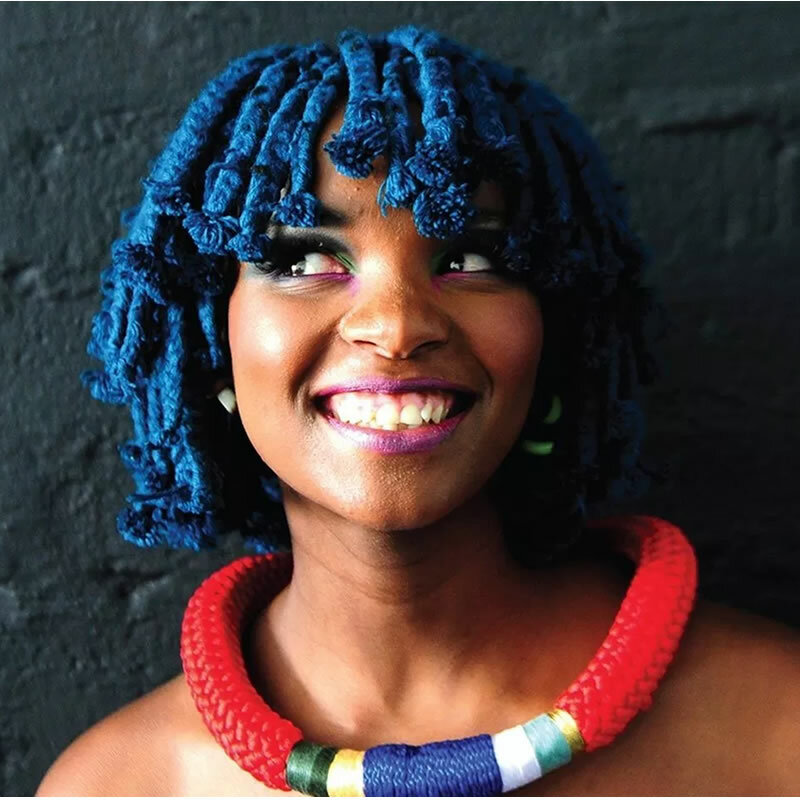 Moonchild Sanelly (born Sanelisiwe Twisha) is a South African musician and dancer. She is known for her signature blue-colored hair and her self-created music genre called “Future ghetto punk”. Originally from Port Elizabeth, the singer first came into limelight in the Durban poetry and music scene before relocating to Johannesburg, where she has continued her musical career. Her music has reached audiences beyond South Africa’s borders, playing in festivals such as SXSW in Houston, Texas and Primavera Sound in Barcelona. In August 2018, she went on a European Tour with South African hop hop group, Die Antwoord. Her music fusses elements of experimental electronic, afro-punk and edgy-pop with hints of her strong kwaito, hip hop and jazz background.